If you are looking for a reliable, cost effective solution to your business’ marketing needs, why not consider one of our sponsors? The Republic has performed a service to the post and one or more of our members. They are not only competitive, but we trust them to provide the service we expect. The Republik is also a supporter and benefactor of our Post’s Boy Scout Troop 505 and Venture 505. Their financial contributions are significant and help ensure that our post is able to host a significant scout presence. Twelve Boy Scout Troops and many more Cub Scout Packs use our post’s natural habitat for an enhanced scouting experience right here in our town! Click on The Republik’s ad to visit their web site. 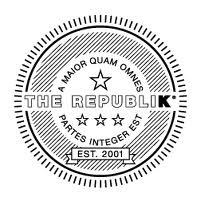 The Republik provides strong resources for marketing, public relations, product development, advertising, and much more.